A group of people who meet once a month for good food and good company. 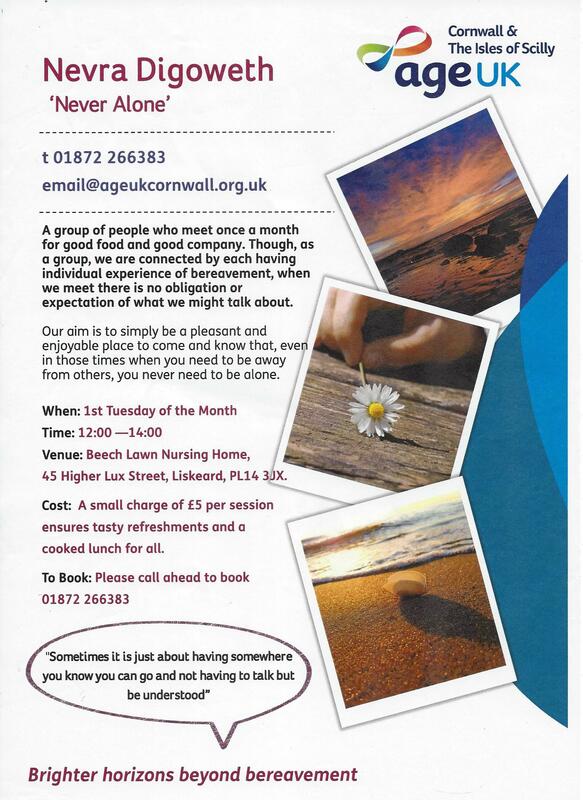 Though, as a group, we are connected by each having an individual experience of bereavement, when we meet there is no obligation or expectation of what we might talk about. Our aim is simply to be a pleasant and enjoyable place to come and know that, even in those times when you need to be away from others, you need never be alone. 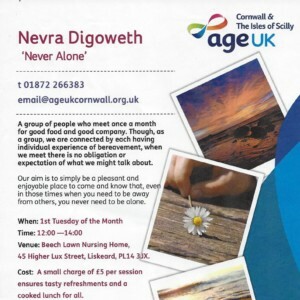 We meet on the first Tuesday of each month at Beech Lawn Nursing Home from 12-2pm.